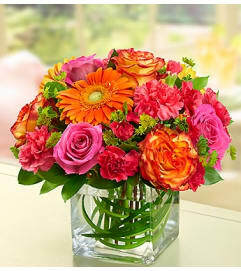 Shower your office superstars with our garden of beautiful blooms! A vibrant mix of roses, mini carnations and more is hand designed inside a charming green watering can featuring a sweet daisy design. 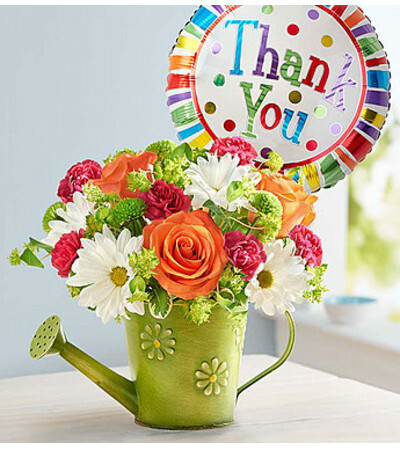 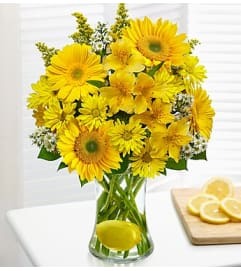 Paired with a festive “Thank You” balloon, it’s a truly original way to express your appreciation for Administrative Professionals’ Week—or any time you want to take a moment to express just how grateful you are.